Henrico Roofing offers roofing services by roofers experienced and tested over 3 generations- proving commitment to community, hard work, and ethical business practices. . We offer to inspect, repair or replace ailing roofs of homeowners in Henrico, Virginia and communities beyond. 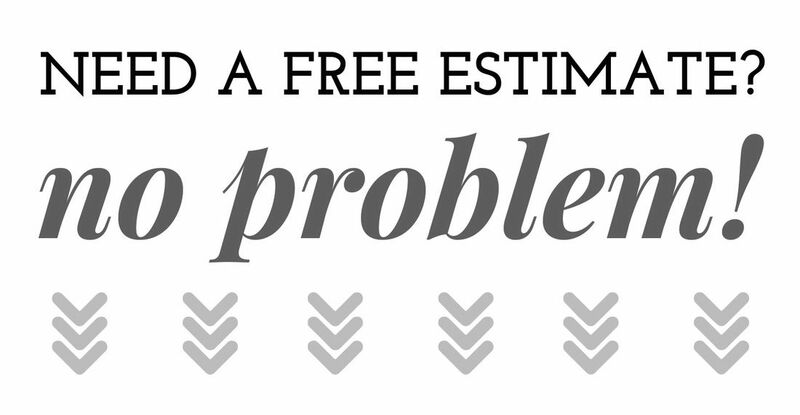 We will at your request preform a free, no strings attached, assessment of your home’s roof and provide an affordable written estimate for repairs or replacement. Henrico Roofing will attempt to repair an ailing roof before replacement. If concerns over the feasibility of repair, suggest replacement is the way forward, we will provide several options from the most affordable to upgrades. Our Roofers are trained on all types of residential roofing, tested for competence on the job periodically, licensed, and insured against injury. 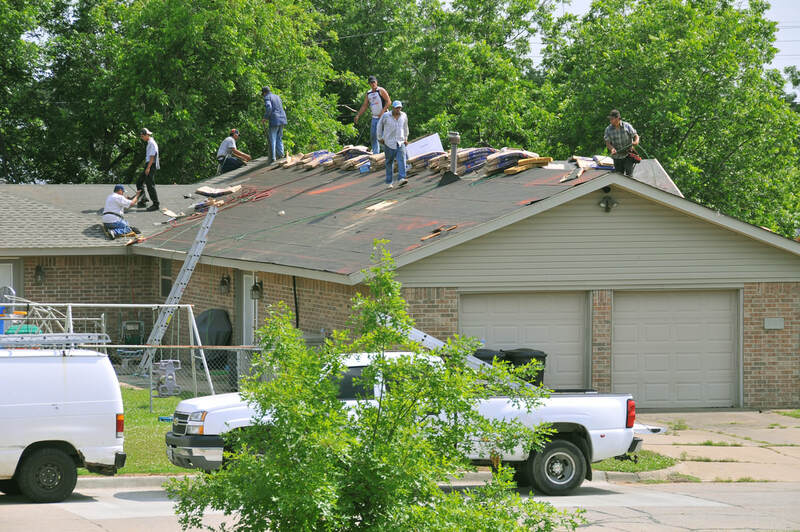 Each crew is supervised by an experienced roofer with several years of hard work as a roofer with Henerico Roofing- they make sure the job is done right. Random Drug Testing is a condition of employment. One novice homeowner decided the badly aged roof on his starter home was sufficiently small in size and low enough in pitch that he felt comfortable doing the re-roofing himself. After inspecting all of the packs of shingles dropped off by the Big Box store, the first words on the packs to catch his eye was “Self-Sealing”. Next, after getting one of the shingles out of the pack he noticed the cellophane strip that he deduced must be pulled off to set the strip. Apparently, that was all he needed to know and got right to work laying them all out on the roof feeling great satisfaction in how quickly the job progressed. ​If he had read a little more of the installation instructions, he would have learned shingles also need to be nailed, in a specific way, to the roof deck. His roofing job did not last long (most of the shingles slid off) and he called the shingle manufacturer to complain that their shingles weren't self sealing. He was quite irate while talking with the shingles manufacturing representative who, after listening to his rant, suggested he hire an experienced roofer. Just a note: ​The cellophane film strip on the shingle keeps the shingles from sticking to each other in the bundled pack, and does not need to be removed. During installation, each row of shingles is offset from the prior one and the one above it, causing an offset in the release cellophane film- unlike in the bundle, the release film is no longer positioned over the shingle’s adhesion strips. A hired novice roofer started installing shingles at the eaves of the clients roof and continued in the same way up over the roof peak so that when he was done all the shingles on the back side of the roof were upside down. When the next rain storm came, the homeowner was rather dismayed by all the roof leaks and how many of the shingles tore off. He could not locate the handyman that put up the roof and was forced to promptly hired an experienced roofer. ​Replacing a roof isn’t something for novices to try and do without constant guidance- it does take knowledge and skill to do it right. Henrico Roofing tracks the newest trends in residential roofing, such as energy efficiency roofing shingles with reflective granules or cool colors to help decrease energy costs for air conditioning. The hot season in Virginia lasts for 3.6 months, from May 29 to September 16, with an average high daily temperature above 80 degrees. The cold season lasts for 3.0 months, from December 1 to March 2, with an average daily high temperature below 56 degrees. Another trend is roofing components specifically designed to make installation easier for contractors, such as an enlarged nailing area on the shingle, and roofing accessories. Roofing accessories to better protect vulnerable areas of the roof, such as eave protection boards or drip edge, roof shingle starters and ridge caps. For instance, the ridge cap shingles are an alternative to using cut up roof shingles to protect the roof line that doesn’t require folding (can result in cracking) on the roof. We have a large knowledge base developed over many years that can benefit our clients favorably in more complex installs as compared to less experienced roofers. ​Neglecting roofing problems leads to small leaks that with the passage of time get larger causing more damage and destruction to the dwelling. Finally, sadly ending with structural damage wrought by growing mold spores, sickness of the inhabitants, pest infestations and expensive mold remediation costs added to the roof repair costs. When you first notice problems with your home’s roof, call Henrico Roofing at (804) 894-9139. We will carefully inspect your roof and help you avoid any future costs arising from neglect.